HOST communities in Ikot Okoro of Essien Udim, Local Government Area of Akwa Ibom State would soon begin to enjoy 24-hour power supply as the Federal Government has concluded plans to connect them directly to the national grid. Essien Udim was created out of the former Ikot Ekpene Division. The affected communities are to be connected to the national grid from the 330kv Essien Udim Transmission Switching Station, which was commissioned on November 26, 2016 by Mr. Babatunde Fashola, the Minister of Works, Power and Housing. To this end, the Niger-Delta Development Commission, NDDC, has intensified efforts to construct a 2X150MVA and 2X60MVA 132/33KV Transmission Substation within the premises of the Essien Udim power switching station aimed at connecting the communities directly to the national grid. Disclosing this while conducting journalists round the 330kv Essien Udim Switching Transmission Station in Akwa Ibom State, during the recent ministerial press tour, the General Manager, Port Harcourt Regional Transmission, Mr. Solomom Emmanuel Oyouku, said the communities will enjoy 24-hour electricitysupplywhentheprojectiscompleted. 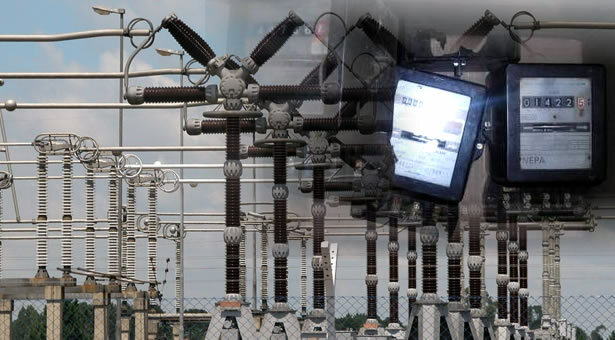 Oyoukufurther revealed that the switchyard which was built to wheel power to the national grid has 12 circuits that can supply power to Afam, Alaoji, Ugwuaji, AjeokutaandMakurdiamongstothers. The switchyard is also to stabilise power to the national grid. In his presentation, the Project Manager, Income Electrix, Engr. Uche Ibukole, who is in charge of construction of the transmission substation said civil works for the construction of the foundation of six feeders for transformers is almost completed adding that his company has mobilized over 100 workers to the site from the host communities.